Professor Abernethy is a first class Honours graduate and university medallist from the University of Queensland, a PhD graduate from the University of Otago, an International Fellow of the American Academy of Kinesiology and Physical Education, a Fellow of the Australian Sports Medicine Federation and a Fellow of Exercise and Sport Science Australia. He is the Executive Dean of the Faculty of Health and Behavioural Sciences and an affiliate Professor in the School of Human Movement and Nutrition Sciences. Professor Abernethy is a previous Deputy Executive Dean and Associate Dean (Research) within the Faculty of Health Sciences (2011 - 2013), Head of the School of Human Movement Studies (from 1991-2003) and from 2004 to mid-2011 was the Director and inaugural Chair Professor of the Institute of Human Performance at the University of Hong Kong. His research interest is in the control and acquisition of skilled movement, with a particular focus upon understanding the processes underpinning the expert perception and production of patterns of human movement. The work is interdisciplinary and spans human movement and sport science, experimental psychology, neuroscience and medical and health sciences. 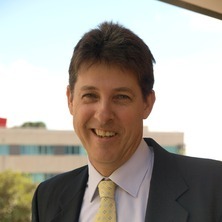 Prof. Abernethy's research work has been supported by a range of agencies including those funding basic science, such as the Australian Research Council and the Research Grants Council of Hong Kong, as well as those supporting more applied research, such as the Australian Sports Commission, the Australian Football League, the Australian Cricket Board, Worksafe Australia and the Motor Accident Insurance Commission. Mann, David L., Sarpeshkar, Vishnu and Abernethy, Bruce (2018). More "novice-like" gaze behavior, and decreased performance, when contextual information increases uncertainty in batting. In: , , (S18-S18). .
Abernethy, Bruce, Kippers, Vaughan, Hanrahan, Stephanie J., Pandy, Marcus G., McManus, Alison M. and Mackinnon, Laurel Biophysical foundations of human movement 3rd ed. Champaign IL, United States: Human Kinetics, 2013. Abernethy, A.B., Hanrahan, S.J., Kippers, V., Mackinnon, L. T. and Pandy, M.G. The biophysical foundations of human movement 2nd ed. Champaign, IL, USA: Human Kinetics, 2005. Abernethy, B., Mackinnon, L. T., Neal, R. J., Kippers, V. and Hanrahan, S. J. Biophysical foundations of human movement 1st ed. Melbourne: Macmillan, 1996. The creative side of experimentation: Personal perspectives of leading researchers in motor control, motor development and sport psychology. Edited by C. W. Snyder and Arthur B. Abernethy Champaign Ill.: Human Kinetics, 1992. Motor memory and control: The Otago symposium. Edited by David G. Russell and Bruce Abernethy Dunedin, New Zealand: Human Performance Associates, 1985. Farrow, Damian and Abernethy, Bruce (2015). Expert anticipation and pattern perception. In Joseph Baker and Damian Farrow (Ed. ), Routledge Handbook of Sport Expertise (pp. 9-21) London, United Kingdom: Routledge. Cote, Jean, Handcock, David J. and Abernethy, Bruce (2014). Nurturing talent in youth sports. In Athanasios G. Papaioannou and Dieter Hackfort (Ed. ), Routledge companion to sport and exercise psychology: global perspectives and fundamental concepts (pp. 22-33) Hove, East Sussex, United Kingdom: Routledge. Research: informed practice: are we nearly there yet? Williams, Andrew Mark and Abernethy, Bruce (2012). Anticipation and decision-making: skills, methods and measures. In Gershon Tenenbaum, Robert C. Eklund and Akihito Kamata (Ed. ), Measurement in sport and exercise psychology (pp. 191-202) Champaign, Ill., U.S.A.: Human Kinetics. Abernethy, Bruce, Farrow, Damian, Gorman, Adam D. and Mann, David L. (2012). Anticipatory behavior and expert performance. In Nicola J. Hodges and A. Mark Williams (Ed. ), Skill acquisition in sport: research, theory and practice 2nd ed. (pp. 287-305) Abingdon, United Kingdom: Routledge. Côté, Jean, Murphy-Mills, Jennifer and Abernethy, Bruce (2012). The development of skill in sport. In Nicola J. Hodges and A. Mark Williams (Ed. ), Skill acquisition in sport: research, theory and practice 2nd ed. (pp. 269-286) Abingdon, Oxon, United Kingdom: Routledge. Yan, J. H., Abernethy, B. and Thomas, J. R. (2008). Developmental and biomechanical characteristics of motor skill learning. In Hong, Y. and Bartlett, R. (Ed. ), Routledge Handbook of Biomechanics and Human Movement Science (pp. 565-580) New York NY United States: Routledge. Abernethy, B. (2008). Introduction: Developing expertise in sport - how research can inform practice. In Farrow, D., Baker, J. and MacMahon, C. (Ed. ), Developing Sport Expertise: Researchers and Coaches Put Theory into Practice (pp. 1-14) Abingdon, Oxon: Routledge. Abernethy, B., Masters, R. S. W. and Zachry, T. (2008). Using biomechanical feedback to enhance skill learning and performance. In Hong, Y. and Bartlett, R. (Ed. ), Routledge Handbook of Biomechanics and Human Movement Science (pp. 581-593) New York NY United States: Routledge. Côté, J., Baker, J. and Abernethy, B. (2007). Practice and play in the development of sport expertise. In Tenenbaum, G. and Eklund, R. C. (Ed. ), Handbook of Sport Psychology 3rd ed. (pp. 184-202) Hoboken, NJ: John Wiley & Sons. Farrow, D. and Abernethy, B. (2007). Wahrnehmung von Expertinnen and Experten im Sport: Einige Kernfragen und -probleme. In Hagemann, N., Tietjens, M. and Strauß, B. (Ed. ), Psychologie der sportlichen Hoechstleistung (pp. 71-92) Göttingen: Hogrefe. Abernethy, Bruce, Farrow, Damian and Berry, Jason (2003). Constraints and issues in the development of a general theory of expert perceptual-motor performance: A critique of the deliberate practice framework. In J. L. Starkes (Ed. ), Expert performance in sports: Advances in research on sport expertise (pp. 349-369) Champaign, Illinois, USA: Human Kinetics. Cote, J., Baker, J. and Abernethy, A.B. (2003). From play to practice: A developmental framework for the acquisition of expertise in team sports. In J. L. Starkes and K. A. Ericsson (Ed. ), Expert Performance in Sports: Advances in Research on Sport Expertise (pp. 89-113) Champaign, IL: Human Kinetics. Abernethy, A.B. (2001). Acquisition of skill. In F.S. Pyke (Ed. ), Better Coaching: Advanced Coach's Manual 2nd ed. (pp. 161-170) Lower Mitcham, SA: Human Kinetics. Abernethy, A.B. (2001). Attention. In R.N. Singer, H.A. Hausenblas and C.M. Janelle (Ed. ), Handbook of Sport Psychology 2nd ed. (pp. 53-58) New York: John Wiley & Sons. Abernethy, A. B. (2001). Sports as expertise, psychology of. In N. J. Smelser and P. B. Baltes (Ed. ), International Encyclopedia of the Social and Behavioral Sciences (pp. 14935-14938) Oxford, UK: Pergamon. Distance-location interference in movement reproduction: An interaction between conscious and unconscious processing? Imanaka, K. and Abernethy, A. B. (2000). Distance-location interference in movement reproduction: An interaction between conscious and unconscious processing?. In Yves Rossetti and Antti Revonsuo (Ed. ), Beyond dissociation: Interaction between dissociated implicit and explicit processing (pp. 41-71) Amsterdam: John Benjamins. Hanna, A. J., Abernethy, A. B., Neal, R. J. and Burgess-Limerick, R. J. (2000). Triggers for the transition between human walking and running. In W.A. Sparrow (Ed. ), Energetics of Human Activity (pp. 124-164) Champaign, Ill: Human Kinetics. Abernethy, B., Summers, J. J. and Ford, S. (1998). Issues in the measurement of attention. In Duda, J.L. (Ed. ), Advancements in Sport and Exercise Psychology Measurement (pp. 173-193) Morgantown, WV: FIT Press. The locus of distance location interaction in movement reproduction: Do we know any more 25 years on? Imanaka, K., Abernethy, B. and Quek, J-J. (1998). The locus of distance location interaction in movement reproduction: Do we know any more 25 years on?. In Piek, J. (Ed. ), Motor control and human skill: A multi-disciplinary perspective (pp. 29-55) Champaign, IL: Human Kinetics. Abernethy, B., Wann, J. P. and Parks, S. (1998). Training perceptual-motor skills for sport. In Elliott, B.C. (Ed. ), Training in sport: Applying sport science (pp. 1-68) Chichester: Wiley. Carson, R. G., Byblow, W. D. and Abernethy, B. (1995). Inherent and incidental constraints upon intentional switching between patterns of bimanual coordination. In Bardy, B.G., Bootsma, R.J. and Guiard, Y. (Ed. ), Studies in Perception and Action III (pp. 41-44) Mahwah, NJ: Erlbaum. Abernethy, Bruce, Burgess-Limerick, Robin, Engstrom, Craig, Hanna, Alastair and Neal, Robert J. (1995). Temporal co-ordination of human gait. In Denis J. Glencross and Jan Piek (Ed. ), Motor control and sensory motor integration: Issues and directions (pp. 171-196) Amsterdam, Netherlands: Elsevier. Abernethy, B. (1994). Perceptual and decision-making skills of athletes - A neglected dimension for change. In Change and the human dimension of physical activity (pp. 1-12) Buffalo, New York: State University of New York. Abernethy, B. (1994). The nature of expertise in sport. In Sidonio Serpa, Jose Alves and Vitor Pataco (Ed. ), International perspectives on sport and exercise psychology (pp. 57-68) Morgantown, WV, United States: Fitness Information Technology. Abernethy, B. (1993). Attention. In Singer, R.N., Murphey, M. and Tennant, L.K. (Ed. ), Handbook of research on sport psychology (pp. 127-170) New York: Macmillan. Abernethy, B., Thomas, K. T. and Thomas, J. R. (1993). Strategies for improving understanding of motor expertise. In Starkes, J. L. and Allard, F. (Ed. ), Cognitive issues in motor expertise (pp. 317-356) Amsterdam: Elsevier. Abernethy, B. (1992). Expertise in experimentation on human action. In B. Abernethy (Ed. ), The creative side of experimentation: Personal perspectives of leading researchers in motor control, motor development and sport psychology C W. Snyder Jr ed. (pp. 203-225) Champaign, IL, United States: Human Kinetics. Abernethy, B. and Snyder Jr., C. W. (1992). Fundamentals of experimentation. In The creative side of experimentation: Personal perspectives of leading researchers in motor control, motor development and sport psychology (pp. 3-30) Chamapign, Ill: Human Kinetics. Abernethy, B. and Sparrow, W. A. (1992). The rise and fall of dominant paradigms in motor behaviour research. In Approaches to the study of motor control and learning (pp. 3-45) Amsterdam: Elseveier. Abernethy, B. and Burgess-Limerick, R. (1992). Visual support for the timing of skilled movements: A review. In Summers, J.J. (Ed. ), Approaches to the study of motor control and learning (pp. 343-384) Amsterdam: North-Holland. Abernethy, Bruce (1991). Acquiring motor skills. In Frank S. Pyke (Ed. ), Better coaching: Advanced coach's manual (pp. 69-98) Belconnen, A.C.T, Australia: Australian Coaching Council. Salmela, J. H. and Abernethy, B. (1991). Sport psychology in Australia. In Salmela, J.H. (Ed. ), The world sport psychology sourcebook 2nd ed. (pp. 8-14) Chamapign, Ill: Human Kinetics. Abernethy, B. (1985). Cue usage in 'open' motor skills: A review of the available procedures. In Russell, D.G. and Abernethy, B. (Ed. ), Motor memory and control: The Otago symposium (pp. 110-122) Dunedin, NZ: Human Performance Associates. Abernethy, Bruce (1985). Introductory comments: Vision and motor skills. In Russell, D. G. and Abernethy, B. (Ed. ), Motor memory and control: The Otago symposium (pp. 94-94) Dunedin, New Zealand: Human Performance Associates. Does perceptual or motor experience influence the perception of global and joint-specific kinematic changes in complex movement patterns? Müller, Sean and Abernethy, Bruce (2014) An expertise approach to training anticipation using temporal occlusion in a natural skill setting. Technology, Instruction, Cognition and Learning, 9 295-312. Is the relationship between pattern recall and decision-making influenced by anticipatory recall? Hitting a cricket ball: what components of the interceptive action are most linked to expertise? Farrow, Damian, McCrae, Jason, Gross, John and Abernethy, Bruce (2010) Revisiting the relationship between pattern recall and anticipatory skill. International Journal of Sport Psychology, 41 1: 91-106. Jackson, Robin C., Abernethy, Bruce and Wernhart, Simon (2009) Sensitivity to fine-grained and coarse visual information: The effect of blurring on anticipation skill. International Journal of Sport Psychology, 40 4: 461-475. Berry, Jason and Abernethy, Bruce (2009) Developmental influences on the acquisition of tactical decision-making expertise. International Journal of Sport Psychology, 40 4: 525-545. Abernethy, Bruce (2009) Some brickbats and bouquets for ecological approaches to cognition in sport. International Journal of Sport Psychology, 40 1: 136-143. Abernethy, B. and Mann, D. (2008) Dual pathways or dueling pathways for visual anticipation? : A response to van der Kamp, Rivas, van Doorn & Savelsbergh (2007). International Journal of Sport Psychology, 39 2: 136-141. Abernethy, B. and Cote, J. (2007) Nurturing the development of a comprehensive model of expertise. International Journal of Sport Psychology, 38 1: 68-72. Abernethy, Bruce (2007) The how and why of sporting expertise: Implications from the study of experts to skill acquisition in cricket. Sport Health, 25 2: 10-11. How do world-class cricket batsmen anticipate a bowler's intention? Farrow, Damian, Abernethy, Bruce and Jackson, Robin C. (2005) Probing expert anticipation with the temporal occlusion paradigm: Experimental investigations of some methodological issues. Motor Control, 9 3: 332-351. Abernethy, B. (2005) Sports expertise: from theory to practice. Sports Coach, 28 3: 30-31. Do expertise and the degree of perception-action coupling affect natural anticipatory performance? Are transitions in human gait determined by mechanical, kinetic or energetic factors? Can anticipatory skills be learned through implicit video-based perceptual training? Abernethy, A. B. (2001) Doctoral studies in Australia. Chronicle of Physical Education in Higher Education, 12 2: 11-12. Can the anticipatory skills of experts be learned by novices? Abernethy, B., Wood, J. M. and Parks, S. (1999) Can the anticipatory skills of experts be learned by novices?. Research Quarterly for Exercise and Sport, 70 3: 313-318. Abernethy, A. B. and Neal, R. J. (1999) Visual characteristics of clay target shooters. Journal of Science and Medicine in Sport, 2 1: 1-19. Imanaka, K., Nishihira, Y., Funase, K. and Abernethy, B. (1996) Interference between location and distance information in the reproduction of arm positioning: Early implications and new directions. Advances in Exercise and Sport Physiology, 2 1: 1-12. Abernethy, B. (1996) Training the visual-perceptual skills of athletes: Insights from the study of motor expertise. American Journal of Sports Medicine, 24 suppl: S89-S92. Abernethy, B (1994) Expert-Novice Differences in Sport - Introduction. International Journal of Sport Psychology, 25 3: 241-248. Abernethy, B. (1994) Current themes and issues in the study of sport expertise: Introduction to the special issue on sport expertise. International Journal of Sport Psychology, 25 3: 241-248. Glencross, D. J., Whiting, H. T. A. J. and Abernethy, B. (1994) Motor control, motor learning and the acquisition of skill: historical trends and future directions. International Journal of Sport Psychology, 25 1: 32-52. Burgess-Limerick, R. J., Abernethy, B. and Neal, R. J. (1992) Hip and lumbar vertebral coordination during lifting: Systematic deviation from synchronous movement. Spine, 17 1122-1124. Abernethy, B (1991) Paradigms to Explore the Coupling of Perception and Action - a Reply. International Journal of Sport Psychology, 22 3-4: 217-220. Abernethy, Bruce (1991) Visual search strategies and decision-making in sport. International Journal of Sport Psychology, 22 3-4: 189-210. Abernethy, B. (1991) Paradigms to explore the coupling of perception and action: A reply to Mestre and Pailhous. International Journal of Sport Psychology, 22 217-220. Imanaka, K. and Abernethy, B. (1990) Interference between movement location and distance cues in the reproduction of slow and fast movements. Journal of Human Movement Studies, 18 6: 251-268. Abernethy, B. (1989) Editorial. Australian Journal of Science and Medicine in Sport, 21 4: 2-3. Expert novice differences in perception: How expert does the expert have to be? Abernethy, B. (1989) Expert novice differences in perception: How expert does the expert have to be?. Canadian Journal of Sport Science, 14 1: 27-30. Wood, K. and Abernethy, B. (1989) Parental influences on the competitive sport experience of children. Physical Education Review, 12 1: 56-69. Salmela, J. H., Abernethy, B., Glencross, D. J. and Grove, J. R. (1989) Sport psychology in Australia: A view from inside and out. Australian Journal of Science and Medicine in Sport, 21 1: 22-27. Dillon, J. M., Crassini, B. and Abernethy, B. (1989) Stimulus uncertainty and response time in a simulated racquet-sport task. Journal of Human Movement Studies, 17 3: 115-132. Abernethy, B. (1988) Dual-task methodology and motor skills research: Some applications and methodological constraints. Journal of Human Movement Studies, 14 3: 101-132. Wollstein, J. R. and Abernethy, B. (1988) Timing structure in squash strokes: Further evidence for the operational timing hypothesis. Journal of Human Movement Studies, 15 2: 61-79. Abernethy, B. (1987) Selective attention in fast ball sports. II: Expert novice differences. Australian Journal of Science and Medicine in Sport, 19 4: 7-16. Abernethy, B (1987) Selective attention in fast ball sports: I: General Principles. Australian Journal of Science and Medicine in Sport, 19 4: 3-6. Abernethy, B. (1986) Anticipation in sport: A review. Physical Education Review, 10 1: 5-16. Howarth, C., Walsh, W. D., Abernethy, B. and Snyder, C. (1984) A field examination of anticipation in squash. Australian Journal of Science and Medicine in Sport, 16 3: 6-10. Abernethy, B. and Russell, D. G. (1984) Advance cue utilisation by skilled cricket batsmen. Australian Journal of Science and Medicine in Sport, 16 2: 2-10. Abernethy, B. and Russell, D. G. (1983) Skill in tennis: Considerations for talent identification and skill development. Australian Journal of Sport Sciences, 3 1: 3-12. Abernethy, B. (1981) Mechanisms of skill in cricket batting. Australian Journal of Sports Medicine, 13 1: 3-10. Connor, J. D., Renshaw, I., Farrow, D. and Abernethy, B. (2016). Evaluating a 12-Week Games-Based Training Program to Improve Cricket Batting Skill. In: Research Quarterly for Exercise and Sport. , , (S30-S31). .
Giblin, Georgia L., Farrow, Damian, Reid, Machar, Ball, Kevin and Abernethy, Bruce (2013). Keep your eye off the ball: Expertise differences in visual search behavior of tennis coaches. In: 2013 Conference Committees and NASPSPA Awards. NASPSPA 2013 Conference, New Orleans, LA United States, (S29-S29). 13 - 15 June 2013. Abernethy, Bruce (2013). Motor Learning and Control. In: 2013 Conference Committees and NASPSPA Awards. NASPSPA 2013 Conference, New Orleans, LA United States, (S4-S5). 13 - 15 June 2013. Gorman, Adam D., Abernethy, Bruce and Farrow, Damian (2012). The influence of attentional focus on expert pattern perception in sport. In: Journal of Sport and Exercise Psychology. unknown, unknown, (S84-S85). unknown. Weissensteiner, Juanita R., Abernethy, Bruce and Farrow, Damian (2010). A multi-methodological and disciplinary examination of expertise development in cricket batting. In: Abstracts of the NASPSPA (North American Society for the Psychology of Sport and Physical Activity) 2010 Conference. North American Society for the Psychology of Sport and Physical Activity 2010 Conference, Tucson, Arizona, (S52-S53). 10–12 June 2010. Mann, David L., Abernethy, Bruce and Farrow, Damian (2010). A visual manipulation used to examine the neural processing underpinning skilled interceptive actions. In: Abstracts of the NASPSPA (North American Society for the Psychology of Sport and Physical Activity) 2010 Conference. North American Society for the Psychology of Sport and Physical Activity 2010 Conference, Tucson, Arizona, (S107-S107). 10–12 June 2010. Abernethy, Bruce, Jackson, Robin C. and Wang, Chris (2010). The perception of deception: The role of kinematic and other information in detecting deceptive intent within movements. In: Abstracts of the NASPSPA (North American Society for the Psychology of Sport and Physical Activity) 2010 Conference. North American Society for the Psychology of Sport and Physical Activity 2010 Conference, Tuscon, Arizona, (S56-S56). 10–12 June 2010. Abernethy, B, Jackson, R. and Wang, C. (2009). The role of kinematic information in movement prediction and deception. In: C. Finch, Journal of Science and Medicine in Sport (Supplement) Program and Abstracts - be active '09. 2009 Australian Conference of Science and Medicine in Sport - be active '09, Brisbane, (19). 14-17 October, 2009. Muller, S., Abernethy, B., Farrow, D. and Tor, E. (2009). Training anticipatory skill in a natural setting of cricket batting through selective visual occlusion: A preliminary investigation. In: C. Finch, Journal of Science and Medicine in Sport (Supplement) Program and Abstracts - be active '09. 2009 Australian Conference of Science and Medicine in Sport - be active '09, Brisbane, (19). 14-17 October, 2009. Abernethy, Bruce, Wright, Michael J. and Jackson, Robin C. (2008). Activation of the brain's mirror network in anticipatory tasks. In: North American Society for the Psychology of Sport and Physical Activity, Niagara Falls, New York, United States, (S61-S61). 4-8 June 2005. Jackson, Robin C., van der Kamp, John and Abernethy, Bruce (2008). Experts do, experts see? Common coding versus perceptual experience in anticipation skill. In: North American Society for the Psychology of Sport and Physical Activity, Niagara Falls, New York, United States, (S95-S95). 4-8 June 2005. Mann, David L., Abernethy, Bruce A. and Farrow, Damian T. (2008). Interception enhances anticipation of advance kinematic information. In: North American Society for the Psychology of Sport and Physical Activity, Niagara Falls, New York, United States, (S108-S109). 4-8 June 2005. Gorman, Adam D., Abernethy, Bruce and Farrow, Damian (2008). The anticipatory nature of expert pattern perception. In: Journal of Sport and Exercise Psychology. unknown, unknown, (S82-S82). unknown. Muller, Sean, Abernethy, Bruce, Farrow, Damian, Rose, Matthew, Anderson, Timothy, Eid, Michael, McBean, Rohan, Rennie, Mike, Ridley, David and Buultjens, Phillip (2008). The information for interception: an in-situ examination of the timing of the visual information pick-up by cricket batsmen of different skill levels. In: North American Society for the Psychology of Sport and Physical Activity, Niagara Falls, New York, United States, (S111-S111). 4-8 June 2005. Jackson, Robin C., Abernethy, Bruce and Wernhart, Simon (2007). An expert (dis)advantage in perceptual skill? Susceptibility to deception when viewing normal and blurred motion. In: Journal of Sport and Exercise Psychology. unknown, unknown, (S20-S20). unknown. Abernethy, B. (2007). The Identification and Development of Essential Attributes for Expert Sports Performance. In: D. Hackfort, Proceedings First Aspire Sports Science Congress. Striving for Excellence: First Aspire Sports Science Congress, Morgantown, WV, (21-28). 2007. Muller, S., Abernethy, B., Farrow, D., Anderson, T., Eid, M., McBean, R. and Rose, M. (2007). Video simulation occlusion techniques for examining pick-up of visual cues in cricket batting. In: Proceedings of the Third World Congress of Science and Medicine in Cricket. 3rd World Congress of Science and Medicine in Cricket, Bridgetown, Barbados, West Indies, (). 4-7 April 2007. Weissensteiner, J. R., Abernethy, A.B., Farrow, D. and Portus, M. (2006). A multidisciplinary approach for examining batting expertise across the developmental spectrum. In: CISC2006 Conference Organising Committee, 13th Commonwealth International Sport Conference Program and Abstracts. 13th Commonwealth International Sport Conference CISC2006, Melbourne, Vic, Australia, (67-67). 9-12 March, 2006. Abernethy, A B (2006). Skill acquisition research into practice: The challenge of developing evidence-based approaches to the training of perceptual-motor skills. In: A. Burnett, D. Bishop and A. Meade, Proceedings of the 2nd Australian Association for Exercise and Sports Science Conference. From Research to Practice II, Sydney, (38). 28 September - 1 October, 2006. Attunement to constraints: From where do skilled cricket batsmen pick-up information to anticipate a bowler's intent? Muller, S., Abernethy, A. B., Farrow, D., Wallis, G. and Barras, N. (2005). Attunement to constraints: From where do skilled cricket batsmen pick-up information to anticipate a bowler's intent?. In: T. Morris, P. Terry, S. Gordon and et al., Proceedings of the ISSP 11th World Congress of Sport Psychology. Promoting Health and Performance for Life, Sydney, (). 15-19 August, 2005. Abernethy, A. B. and Farrow, D. (2005). Contextual factors influencing the development of expertise in Australian athletes. In: Tony Morris, Peter C. Terry, Sandy Gordon, Stephanie Hanrahan, Lydia Ievleva, Gregory Kolt and P. Tremayne, ISSP 2005: Promoting Health and Performance for Life. Refereed Proceedings of the ISSP 11th World Congress of Sport Psychology. ISSP 11th World Congress of Sport Psychology: Promoting Health and Performance for Life, Sydney, Australia, (). 15-19 August 2005. Abernethy, A. B., Muller, S., Farrow, D., Wallis, G. and Barras, N. (2005). Dealing with natural constraints: The timing of information pick-up by cricket batsmen of different skill levels. In: T. Morris, P. Terry, S. Gordon and et al., Proceedings of the ISSP 11th World Congress of Sport Psychology. Promoting Health and Performance for Life, Sydney, (). 15-19 August, 2005. Berry, J. T. and Abernethy, A.B. (2005). Early participation patterns and expert performance in Australian football. In: T. Morris, P. Terry, S. Gordon and et al., Proceedings of the ISSP 11th World Congress of Sport Psychology. Promoting Health and Performance for Life, Sydney, (). 15-19 August, 2005. Abernethy, B. (2005). Skill learning and performance III: Expert perception and its training. In: Proceedings of the ISSP 11th World Congress of Sport Psychology. 11th World Congress of Sport Psychology, Sydney , Australia, (). 15 - 19 August 2005. Abernethy, A.B. (2005). Sport expertise: From theory to practice. In: D. Farrow, C. MacMahon and J. Baker, Proceedings of the Applied Sport Expertise and Learning Workshop. , Canberra, (). 11-12 August, 2005. Royal, K. A., Farrow, D., Mujika, I., Halson, S. L., Pyne, D. and Abernethy, A. B. (2005). The effects of fatigue on decision-making and shooting skill performance in water polo players. In: T. Morris, P. Terry, S. Gordon and et al., Proceedings of the ISSP 11th World Congress of Sport Psychology. Promoting Health and Performance for Life, Sydney, (). 15-19 August, 2005. Abernethy, A.B. (2004). How do they make it look so easy? Practice, skill learning and sports development from an expertise perspective. In: C. Finch, Journal of Science and Medicine in Sport Supplement: 2004 Australian Conference Program and Abstracts. Annual Australian Conference of Science and Medicine in Sport(Journal of Science and Medicine in Sport: Hot Topics from the Red Centre, Alice Springs, (S113-S113). 6-9 October 2004. When is information extracted for anticipation of ball type in cricket batting? Muller, S., Abernethy, A. B., Farrow, D., Wallis, G. and Barras, N. (2004). When is information extracted for anticipation of ball type in cricket batting?. In: Australian Association for Exercise and Sports Science Inaugural National Conference. Exercise and Sports Science 2004 - From Research to Practice, Brisbane, (). 14-16 April 2004. Berry, J. T., Abernethy, A. B. and Cote, J. (2003). Development of expert game-based decision-making in Australian Football. In: A.M. Williams and T. Reilly, 5th World Congress on Science and Football: Book of Abstracts. 5th World Congress on Science and Football, Lisbon, Portugal, (134-135). 11-15 April, 2003. Berry, J. T., Abernethy, B. and Cote, J. (2003). Expert game-based decision-making in Australian Football. In: Proceedings of the Sports Medicine Australia-Queensland State Conference. 2003 Sports Medicine Australia Queensland State Conference, Gold Coast, Qld, Australia, (). 3-4 May, 2003. Abernethy, B. (2002). Differentiating Experts from Non-experts: Observations and Methods. In: D. Lehénaff and C. Thépaut-Mathieu, Expertise in Elite Sport. Proceedings of the 2nd INSEP International Conference on Sports Sciences. 2nd INSEP International Conference on Sports Sciences 2002, Paris, France, (). 2002. Farrow, D. and Abernethy, B. (2002). Enhancing natural anticipatory performance through implicit video-based perceptual training (Conference Abstract). In: Lucette Toussaint and Philippe Boulinguez, Proceedings of the International Congress on Movement, Attention and perception. Movement, Attention and Perception, Poitiers, France, (55). 19-21 June 2002. Expert anticipation in the natural setting: Information pick-up or fast visual-processing? Farrow, D. and Abernethy, B. (2002). Expert anticipation in the natural setting: Information pick-up or fast visual-processing?. In: Robert C. Eklund and Leon Jeter, Journal of Sport and Exercise Psychology. Proceedings of: 2002 NASPSPA Free Communications. NASPSPA 2002 Conference, Hunt Valley, MD, U.S.A., (S53-S53). 6-8 June 2002. Abernethy, B. and Farrow, D. (2002). Training methodology: General versus specific visual training (Conference Abstract). In: Lehénaff, Didier and Thepaut-Mathieu, C, Proceedings of the 2nd International Days on Sport Sciences. Expertise and Elite Sport, Paris, France, (59-64). 12-15 November, 2002. Baker, J., Cote, J. and Abernethy, A.B. (2001). Changes in athletes' perceptions of various training activities as they travel the road to expertise. In: A. Papaioannou, M. Goudas and Y. Theodorakis, International Society of Sport Psychology 10th World Congress Programme and Proceedings. In the Dawn of the New Millenium, Skiathos, Greece, (13-15). 28 May - 2 June, 2001. Abernethy, A.B. (2001). Learning from experts: How the study of expertise might help design more effective training. In: Proceedings of the 37th Annual Conference of The Ergonomics Society of Australia Inc.. Better Integration: Bringing Research and Practice Together, Sydney, NSW, (3-12). 27-30 November, 2001. Cote, J., Baker, J. and Abernethy, A.B. (2001). Stages of sport participation of expert decision-makers in team ball sports. In: A. Papaioannou, M. Goudas and Y. Theodorakis, International Society of Sport Psychology 10th World Congress Programme and Proceedings. In the Dawn of the New Millenium, Skiathos, Greece, (150-152). 28 May - 2 June, 2001. Baker, J. R., Beamer, M., Cote, J. and Abernethy, A. B. (2000). An examination of athlete reported training activities in high and low decision-making sports. In: 31st Annual Conference Book of Abstracts. 2000 Conference for the Canadian Society for Psychomotor Learning and Sport Psychology, Waterloo, Ontario, Canada, (np). 26-29 October 2000. Cote, J., Baker, J. R. and Abernethy, A. B. (2000). Deliberate practice, deliberate play and optimal learning activities: Considerations for successful coaching. In: Abstracts of the 2000 Conference of the Association for the Advancement of Applied Sport Psychology. AAASP 2000 Conference, Nashville, TN, (33). October 2000. Abernethy, A. B., Cote, J. and Baker, J. R. (2000). Learning to be an expert: Factors underpinning the development of exceptional decision-making skills in athletes. In: 2000 Pre-Olympic Congress Book of Abstracts. International Congress on Sport Science, Sports Medicine and Physical Education, Brisbane, (78). 7-12 September 2000. Baker, J. R., Cote, J. and Abernethy, A. B. (2000). The self-reported practice activities of expert decision-makers in sport. In: Abstracts of the 2000 Conference of the Association for the Advancement of Applied Sport Psychology. AAASP 2000 Conference, Nashville, TN, (82). October 2000. Chow, J. Y., Raynor, A. and Abernethy, A. B. (1999). An investigation of the mechanical, energetic and kinetic triggers associated with human walk-to-run transition. In: Book of Abstracts - Fifth IOC World Congress. Fifth IOC World Congress, Sydney, (36). 31 Oct-5 Nov, 1999. Cote, J., Baker, J. R. and Abernethy, A. B. (1999). Differences in key developmental experiences of expert and novice players in team sports. In: Abstracts of the 1999 Conference. 14th Annual Conference of the Association for the Advancement of Applied Sport Psychology, Banff, Alberta, (20-21). 22-26 Sept, 1999. Hackfort, D., Abernethy, A. B., Munzert, J. and Tenenbaum, G. (1999). Expertise and decision-making. In: K. Roth, T. Pauer and K. Reischle, Dimensionen und Visionen des Sports. German Association of Sports Science - 14th Annual Conference, Heidelberg, Germany, (165). 27-29 Sept, 1999. Abernethy, A. B., Baker, J. R. and Cote, J. (1999). Expertise in sport. In: K. Roth, T. Pauer and K. Reischle, Dimensionen und Visionen des Sports. German Association of Sports Science - 14th Annual Conference, Heidelberg, Germany, (158-162). 27-29 Sept, 1999. Bruggemann, P., Ae, M., Smith, R. and Abernethy, A.B. (1999). Feedback of biomechanical information for the elite athlete. In: Physical Science Workshop. Fifth IOC World Congress, Sydney, Australia, (261). 31 Oct to 5 Nov, 1999. Hoy, E., Raynor, A. and Abernethy, A. B. (1999). Skilled perception of movement kinematics. In: Book of Abstracts - Fifth IOC World Congress. Fifth IOC World Congress, Sydney, (38). 31 Oct-5 Nov, 1999. Burgess-Limerick, R. J., Shemmell, J. B., Abernethy, A. B. and Carson, R. G. (1999). Spontaneous transitions in repetitive lifting and lowering. In: L. Straker and C. Pollock, CD-ROM Proceedings of CybErg 1999. The Second International Cyberspace Conference on Ergonomics, Curtin Univ., Perth, (527-540). 15 Sept-15 Oct, 1999. Baker, J. R., Abernethy, A.B. and Cote, J. (1999). The role of sport-specific training in attaining expertise in team ball sports. In: Abstracts of the 1999 Conference. 14th Annual Conference of the Association for the Advancement of Applied Sport Psychology, Banff, Alberta, (21). 22-26 Sept, 1999. The locus of distance-location interference in movement reproduction: Do we know any more 25 years on? Imanaka, K, Abernethy, B and Quek, JJ (1998). The locus of distance-location interference in movement reproduction: Do we know any more 25 years on?. In: Piek, JP, Motor Behavior and Human Skill. 3rd Biennial Workshop on Motor Control and Human Skill Research, Perth Australia, (29-55). Dec , 1995. How cognitive is motor expertise? Abernethy, B and Parks, SL (1996). How cognitive is motor expertise?. In: International Journal of Psychology. , , (4664-4664). . Inherent and incidental constraints upon intentional switching between patterns of bimanual coordination. Carson, RG, Byblow, WD, Abernethy, B and Summers, JJ (1995). Inherent and incidental constraints upon intentional switching between patterns of bimanual coordination.. In: Bardy, BG, Bootsma, RJ and Guiard, Y, Studies in Perception and Action III. 8th Biennial Conference of the International-Society-for-Ecological-Psychology on Perception and Action, Marseille France, (41-44). Jul 09-14, 1995. Expert decision-making in Australian football: How does it develop and how can it be trained?